Is Bar/Bat Mitzvah a Communal or Personal Rite? The bar/bat mitzvah service now focuses on the child as individual, but the synagogue community should not suffer. 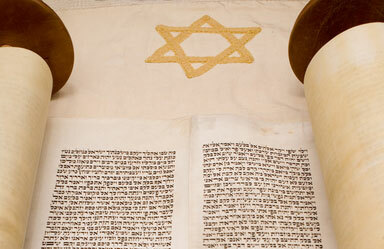 Bar/Bat Mitzvah: Performance or Communal Ritual? Individualism has been insinuating itself increasingly into religious ritual over the last 30 years. Given the apparent truth of the popular mantra that “we are all Jews by choice,” religious ritual has had to evolve in ways that are attractive to individuals searching for personal meaning. The bar mitzvah is no exception. Rather than the children simply doing what they are supposed to do–to the degree to which they are capable–now children do their thing accompanied by fanfare and hoopla from parents and even rabbis. The focus, particularly in liberal communities, is often on children’s achievements and performance skills as much as it is on their new responsibilities as members of the synagogue community. The bar mitzvah speech–once a serious exploration of Jewish text–is now often a ritual in which the quest for individual meaning is given equal weight with the Torah, which embodies the values of the Jewish community. At many synagogues, half of the child’s dvar Torah is devoted to a theme from the weekly portion and the other half is a discussion of “what it means to me.” Certainly it is important that children understand how Torah study can affect their own lives, but this type of speech often shortchanges the Torah and its traditional commentators. As a member of a synagogue that now hosts bar/bat mitzvahs nearly every weekend, I witness many “new” ceremonies that highlight the child and family, but sometimes frustrate the congregation–the “regulars” who come to the synagogue every Shabbat to pray. One new ritual is the presentation of the tallit (prayer shawl) by the parents, often accompanied by private and emotional words to the child. The parents sometimes focus on Jewish identification, but their interest is often just the child and who he or she is as a person. As a result, unrelated congregants feel like witnesses to what is intrinsically a private experience. Some parents decide to hold a more private ceremony during the afternoon Mincha service, effectively disinviting the synagogue “regulars.” Other parents who want completely free rein at their child’s bar/bat mitzvah hold their services outside the synagogue, either with or without clergy. The decision not to have a Saturday morning bar/bat mitzvah is often driven by pragmatics like religious relatives who don’t drive on Shabbat or a bar/bat mitzvah child too shy to stand in front of a large congregation. And unaffiliated Jews who plan a non-synagogue bar/bat mitzvah are enacting a form of Jewish commitment. Yet both are limiting the “Jewish community” present at the bar/bat mitzvah largely to family and friends, arguably attenuating the connection with k’lal yisrael (the entire Jewish community). Another innovation is the “bar mitzvah pledge.” The child recites a formal pledge to continue his or her Jewish education and to remain involved in the Jewish community. My gut response: Has the original meaning of the ceremony as an affirmation of the child’s new communal obligations been forgotten and then brought back in this formulaic individual recitation? There are signs that parents are beginning to recognize the importance of communal identification. Instead of holding private luncheons following the service, increasing numbers of families are holding elaborate kiddush luncheons to which the congregation is invited. And in our synagogue, the religious affairs committee has stepped in to limit what a parent can say to a child during the service. Despite my concern over the invasions of individualism, I realize that I am not free of its taint. I may not be planning a spiritual quest in the American West for my daughter’s bat mitzvah, but I am certainly part of my generation. Yes, I may omit the tallit ceremony and the bar mitzvah pledge, but I admit to having a personal vision of what I want my daughter’s bat mitzvah ceremony to be. Coming from a havurah background (where groups of Jews join together for self-led services, communal celebrations, and other programs, without benefit of clergy), I would like a service that is havurah-style and participatory. But as I press for my own demands, am I ignoring the community’s wishes for a standard Shabbat morning service? Despite my rejection of the clergy-focused 1950s suburban synagogue services of my youth, in search of more “meaningful” and lively havurah communities, I am still looking for a balance. I find meaning by endowing the traditional communal rituals with extra verve, spirit, and insight. In the bar/bat mitzvah ceremony, I would like the developing focus on the individual to mesh more seamlessly with the traditional meaning of the event: the child’s commitment to the Jewish community, its values, and its practices.